I really enjoy using toy cameras and usually have one stashed away in my bag. As they are small and cheap I don’t worry about them breaking and they are much more convenient than lugging around a DSLR! They can be lots of fun and some really creative looks can be achieved with these cameras. 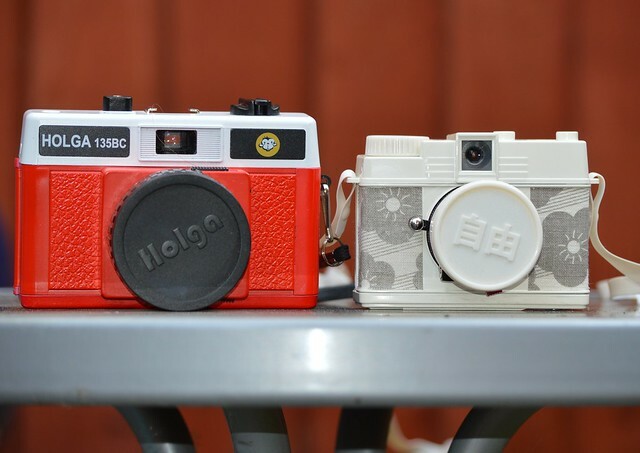 For people looking for their first toy camera two popular choices are the Holga 135bc and the Diana Mini. These are both 35mm cameras, which makes buying and developing film cheaper than their medium format big brothers, the Holga 120 and Diana F. When I was looking for my first toy camera I read many reviews of each and was a little torn between the two, in the end I plumped for the Holga 135BC but today I received a shiny new Diana mini so I thought I would do a hands on comparison! Obviously, as I only got the Diana Mini today, this comparison doesn’t include any details about picture quality as film takes time people! I will do a picture comparison when I’ve shot a few rolls of film. 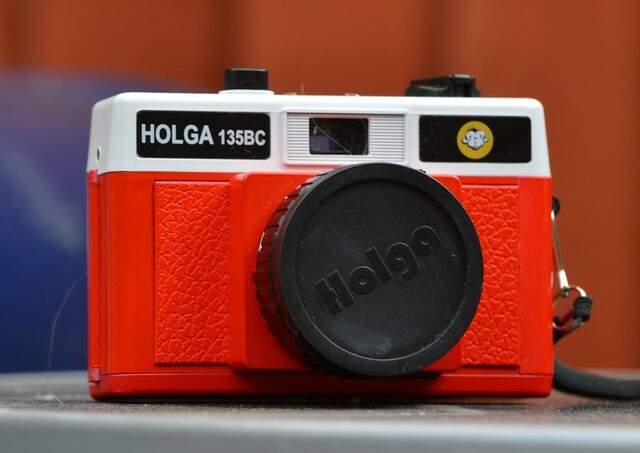 This is my Holga 135BC, I bought it for £29.99 brand new from a Hong Kong eBay seller. 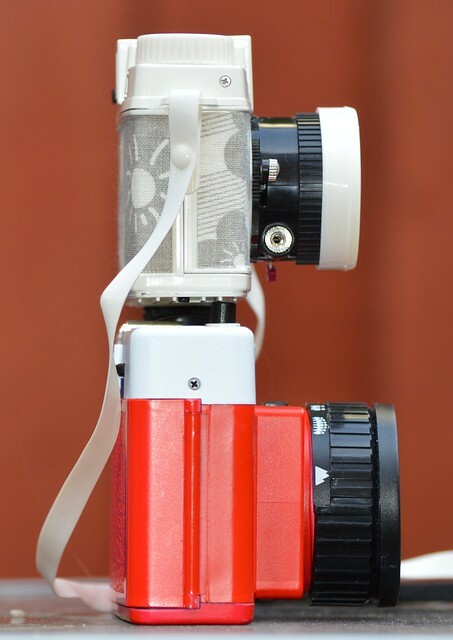 Features include: Bulb mode, hotshoe for flash, multiple exposures and available in lots of colours. The aperture is fixed, there is a sunny/cloudy switch but this makes no difference. The ‘BC’ in the model name shows that this camera produces intentional vignettes on the photos, there is a model without this feature if that isn’t your cup of tea. The Holga comes in a no frills box with simple instructions. I purchased my Diana Mini from eBay for £50 including the Diana external flash. 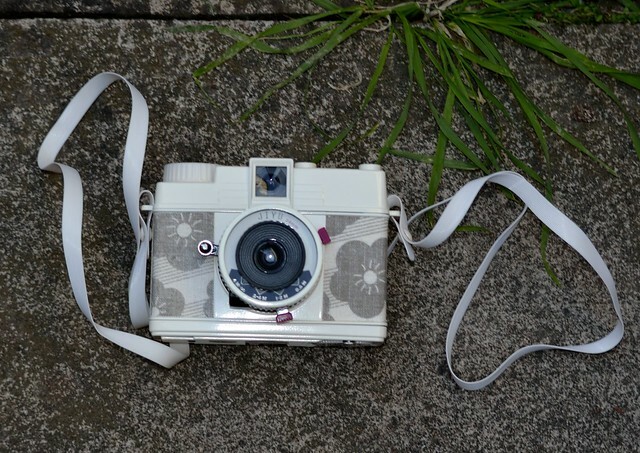 If purchased new from the lomography store it would’ve cost more like £100, so definitely keep your eyes open for bargains on eBay if you want this camera. Features include: Bulb mode, hotshoe with adaptor, multi exposures, frame shifted photos and also available in a variety of colours. One of the features that really appealed to me about the Diana Mini was the choice of frame formats, you can choose to shoot square photos or half frame. Shooting half frame should mean the film lasts twice as long. The camera came really well presented in a fancy box with a book of sample pictures and creative photography ideas. As mine was an eBay purchase it also came with 5 rolls of film which is always welcome! 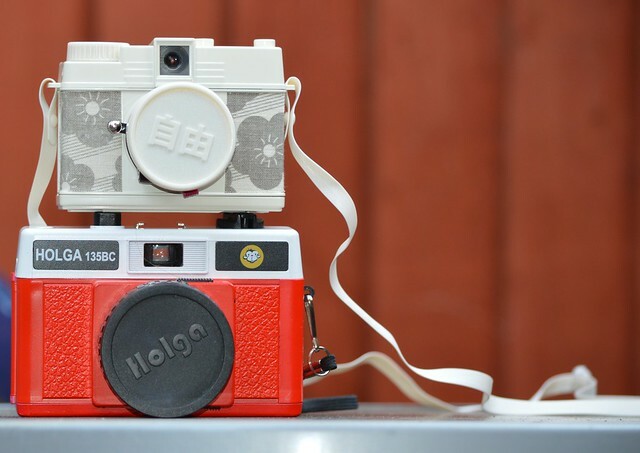 The Holga is substantially bigger, however they both feel equal in weight. 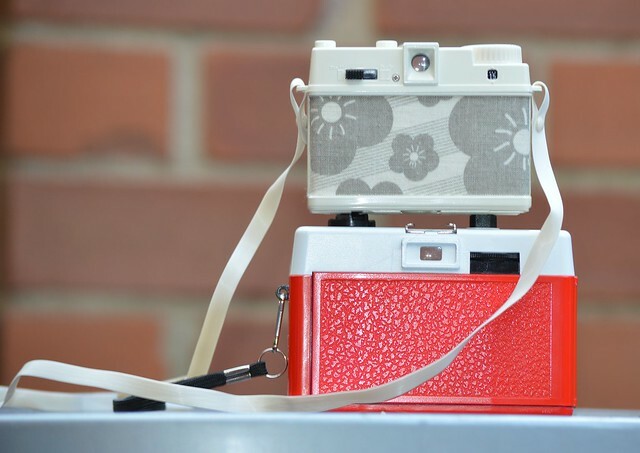 I think they are both attractive cameras, I love the bold colouring of the Holga and the fabric finish of the Diana. The small size of the Diana makes it an appealing carry around prospect but as a result is a bit more fiddly and less user friendly. I prefer the more straightforward layout of the Holga, for example, the position of the shutter on top of the Holga camera, compared to the Diana where the shutter is a lever by the lens. To focus the Diana you have to turn the black inner part of the lens (see the photos above! ), this is quite fiddly and is tricky, if not impossible, to do with one hand whilst looking through the viewfinder. You essentially have to have the camera facing you to turn it, which is only a minor quibble but it does slow down the picture taking process. On the Holga a simple turn of the lens is the focus and distance diagrams are visible from above the camera which makes focusing easy! So in conclusion, I still prefer the no frills, simplistic functionality of the Holga 135bc and would heartily recommend this camera to anyone looking for a toy camera. It is so easy to use and it does exactly what I wanted and expected it to. It is a bargain for £30, simple as. The Diana is very pretty but I’m hoping it’s not just style and no substance. It is also expensive if you buy it from an official retailer. The pretty packaging it comes with is nice, but I found language used in the book and instructions a bit smug and self satisfied to be honest! The proof of the Diana will be in the shots. I’m looking forward to getting my first films back and trying out the different frame formats. I really like the flash that came with this camera and if the Diana doesn’t grow on me I can always use it on my Holga! This entry was posted in 35mm, Diana, film, Holga, photography, Toy camera and tagged Diana, Diana mini, film, Holga, Holga 135BC, lomo, lomography, photography, toy cameras. Bookmark the permalink.